Once you have downloaded the folder, extract the files to an easily-found location on your computer. 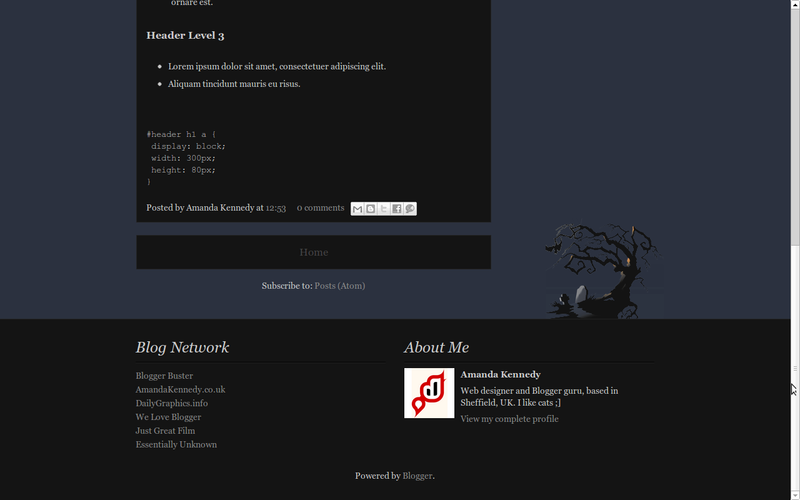 Now, go to the Design>Edit HTML section of your Blogger dashboard. Near the top of this page, you'll find a form to upload a new template. 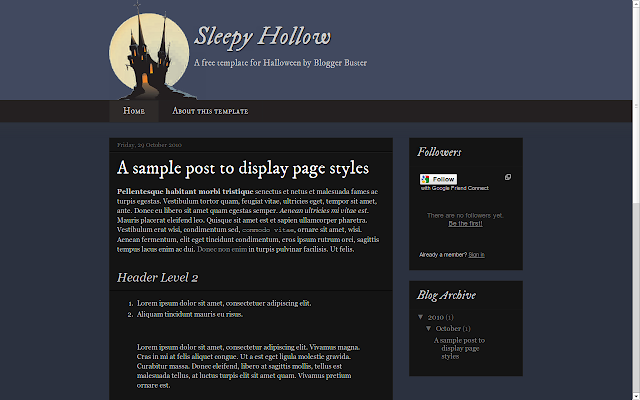 Click the "Browse" button, locate the file: sleepy-hollow-halloween-template-blogger.xml, and upload it. You may be asked if you would like to delete selected gadgets from your template - this happens when your existing template includes gadgets which are not included in the template you are uploading. In this case, you can choose to retain the widgets (which will be placed in the sidebar or other widget-ready area of the new template) or delete them. If in doubt, choose to keep the widgets as you can always change their position or delete them through the Page Elements section at a later time. After these few simple steps, your new template will be uploaded and available to use. Sleepy Hollow is delivered under the Creative Commons Non-Commercial Attribution License 3.0, which means you are free to use and share this template on the condition that you provide attribution. In other words, do not claim the design of this template as your own!